As many new - and established - authors know, marketing your book is hard work. Authors need to be innovative about marketing - and, luckily, this is the perfect time for that process. Author, Dr. Susan Reid, is a real go-getter - she's not one to spend too much time wondering what to do or how to do it. Susan likes to get things done! One exciting thing she's done, recently, is to create a Video Book Trailer, which is much like a movie trailer, for her book, Discovering Your Inner Samurai. This is in addition to marketing her book via her website, Alkamae, and her blog, where she shares more Inner Samurai advice. Susan was kind enough to share her experience creating the book trailer with WME Founder, Yvonne DiVita, who thought many others could benefit from her experience. Hence, this podcast. It's a fine outline of how YOU, too, as a first time author, or an established author, can utilize video to get your book noticed. This podcast is only 15 minutes - but it contains a wealth of useful advice. Don't forget to visit Susan's website to see the book trailer. We're half-way through a virtual book tour for Sybil Stershic's Taking Care of the People Who Matter Most: A Guide to Employee-Customer Care! with reviews of the book and conversations with the author. Click on the "widget" in the right panel to get to the tour page and follow the "stops" on Sybil's tour. Please feel free to leave any comments you might have about the tour itself on this post, but we really encourage you to join the already growing conversation about Taking Care in the blogosphere. Hewlett-Packard recently ran a contest letting readers of its Small and Medium Business Community Wiki pick their favorite blog posts in the categories of marketing, entrepreneurship, innovation and management, and productivity. On tallying the votes, one of WME's own, the late John Wyckoff, author of MYOB-2: The Complete Guide to Profitable Powersports Dealerships, took first place in the Entrepreneurship category for his post Working On, Not In, The Business, posted on October 16, 2005, in the Small Business Trends blog. You can download the HP ebooks publishing the winners of this contest (and the associated Powerpoint ebook themes) at HP's Wetpaint Wiki for Home and Home Office Printing and Small & Medium Business Printing. Hedria Lunken, author of Square One at 51: What I did the day after I buried my life is being featured in an Author Chat at Watersone Financial Group - sponsored by the Rochester chapter of NAWBO and Waterstone's own Kathleen Roth. Cost: $5 for NAWBO members, $10 all others. Call 585-241-5900 for more information. This note is not book focused. It's included in this blog because one of our authors (Sybil Stershic) sent me a link to a blog post asking for help, and... since she is a part of WME Books, and the help she requested was for a good friend, I wanted to share. At WME, we like to keep up with our authors, though, I admit that sometimes we fall short. We are working on that - on more reporting for author events and author book signings. We are so lucky that our authors are patient and understanding. Today, I request that you visit Sybil's blog - and read the story of her friend Alanna Nelson who is dying of a terminal lung disease. You may also visit my marketing to women online blog, Lip-sticking, and read about this. That blog is connected to the women's market, and Sybil's request, on behalf of Alanna, is aimed directly at the women's market. This time, however, the issue affects men, also. Men whose wives or sisters or daughters or mothers may be in danger...of misdiagnosis. If you can help this cause, all women benefit. And, there is a fundraiser for folks in PA, that may work, also. Please click through to learn more... and give a thought to passing this story on, thank you. 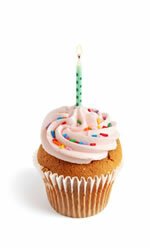 Today is Dr. Susan Reid's first anniversay - of writing in her blog, the Alkamae Blog. Susan's blog is an outstanding representation of what an author can do with a blog. She offers such valuable insight and content to her readers, some taken from her book, Discovering Your Inner Samurai: The Entrepreneurial Woman's Journey to Business Success, and much from personal experience, or readings. Susan is celebrating today. Take a minute to visit her delightful blog and say hello. I promise you will leave with a big smile (and many ideas on how to create more success this year). Everyone here at WME Books and WME Blogs wishes Susan continued success - in writing, in blogging, and in sharing the secret of how to discover your Inner Samurai. This follows directly on the heels of her Virtual Book Tour...which is winding down. Feel free to stop over at WME Books to buy your own copy of Dr. Reid's book - buy two, and share with your entrepreneurial friends. We've asked a group of wonderful bloggers to read Dr. Susan L. Reid's Discovering Your Inner Samurai: The Entrepreneurial Woman's Journey to Business Success and have set up a virtual book tour to showcase guest posts by Susan, reviews of the book, and observations after interviewing Susan, among other things. Applying their unique perspective in how this book and the principles and ideas within it can apply to their readers' lives women and as entrepreneurs. The tour has begun! The details of th first "leg" of the virtual book tour for Discovering Your Inner Samurai are found on the tour's home page, which you can visit by clicking on the image in the upper right panel of this blog (or by clicking here). We'll update the links as the participating bloggers post. Please visit the tour's home page now to check out the current links and we hope you keep coming back as we continue the tour! Keep coming back as the tour continues and we set up the second "leg" of this blog book tour. So on with the tour . . . .
Discovering Your Inner Samurai: The Entrepreneurial Woman's Journey to Business Success is now available online at Amazon.com. Dr. Reid writes the outstanding Alkamae blog to share her experiences and insight into the concepts around Discovering Your Inner Samurai. Visit her blog today and learn more about your Inner Samurai...and new concepts such as Accidental Pren-her.